Kirsten Hastrup is Professor of Anthropology at the University of Copenhagen. She received an ERC Advanced Grant in 2008, enabling the collaborative research project Waterworlds (2009-2014). Among her publications are three monographs based on her work on long-term natural and social histories in Iceland. Since then she has worked in Greenland and published many edited volumes such as Anthropology and Nature (2014). Frida Hastrup is Associate Professor of Ethnology at the Saxo Institute, University of Copenhagen. 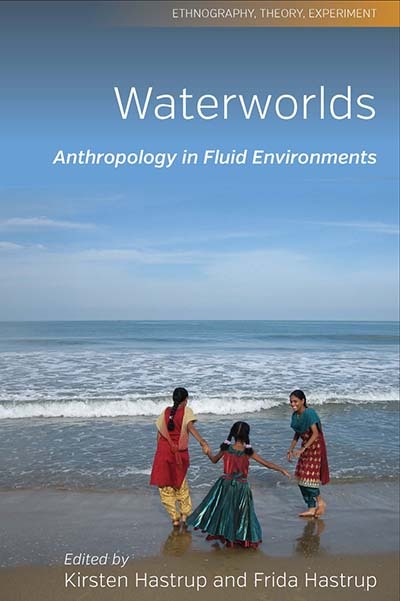 Her publications include the monograph Weathering the World: Recovery in the Wake of the Tsunami in a Tamil Fishing Village (2011). She is leading a research project about natural resources.